For the last two decades, scholars have tried to link entrepreneurship typologies originally constructed in the West with firm performance in Africa’s Least Developed Countries (LDCs). Results were often surprising in the sense that they were different from what was found in Western economies. 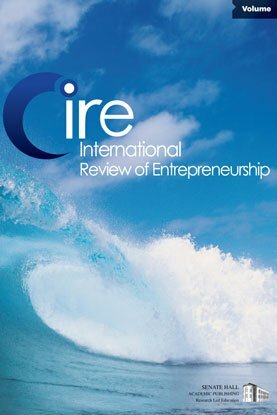 In this paper we take a step back and investigate the importance of small business owners’ universal socio-demographics: their nationality, start-up experience, age, gender and highest completed education. Unlike theoretically more sophisticated concepts used in earlier studies, these indicators have the advantage that they are universally applicable and do not suffer from context-specific meanings and interpretations. Hence, they form a good starting point to understand firm performance in LDCs. Using new and unique primary data, this study explores these socio-demographic factors using a cross-country sample of 306 small business owners from two African LDCs. Using ordered logit models, we find that also for these socio-demographic characteristics, the link with firm performance (measured in terms of employee growth and sales growth) seems to be different in LDC countries. Accordingly, one of the key lessons which can be drawn from this study is that scholars should search for more relevant, context-specific, indicators of firm performance in the extreme impoverished areas of the world.